Angelo Fracassa has taken the bus to work for 60 years. On his last day, his family and friends surprised him by joining him on the bus and taking him to a retirement party. The Tourism and Transport Forum Australia reports that franchising bus routes in certain cities could add $1billion to government revenue over 5 years. A legal battle is underway about whether surveillance of bus passengers can include audio recording. Is Your Bus Company Ready for Mothering Sunday? Mothering Sunday was on March 6th in the UK, and we provided some ideas for bus companies to make sure they’re ready for the increased traffic, have their schedules online, and are showing appreciation to the hard working mothers on their teams. Ideas from the school bus safety program. Doris Vehar greets the kids on the school bus every day when they come by her house. This year, they surprised her on her birthday. The US Environmental Protection Agency is granting funds to schools bus providers to help them replace or retrofit old diesel buses with greener models. James Ojeda is a bus driver who’s been reading Dr. Suess books to kids for almost 20 years on Read Across America Day. Among some other tried and true ideas to make Read Across America Day a success, the Truro Public Library has had Thing 1 and Thing 2 from Dr. Suess’s famous book The Cat in the Hat meet kids at the bus. Google is providing free public WiFi to the Mumbai Central train station, and they will roll out WiFi to 100 more rail stations this year. Watch an interesting video about rail in the San Gabriel Valley. The new company Urban Engines helps transit companies take the massive amounts of data from transit research and turn it into actionable plans. Zonar is a leading transportation technology company, and they just brought on four new executives to support their growth. This new transit map is nice, but we think having an app on your phone is easier to read and more convenient. What do you think? It takes the average commuter 26 minutes to get to work. That adds up to 1.8 trillion minutes that Americans spend getting to and from work! This includes both time spent in the car and on public transit, but we know from other research that taking the bus or train can often be faster than driving. It’s also cheaper and more environmentally sustainable, and you can work, sleep or read while you commute. So if you have to commute, take transit, and don’t let that time be wasted. Commuting by bus is 55% cheaper than by car. That’s a lot of savings! Cities in the US were ranked according to the commute time, the percentage of commuters who use transit, and the median income of transit users. 10 cities came out on top. Check them out! The UK has a lot of transit options for visiting Mum on Mothering Sunday or on any other day. Whether you took the ferry, coach, undersea train, bus or rail, we hope you utilized the money saving option of traveling by transit this week. If not, go see Mum today! And take her for a train ride- she’ll love it! The Car Century was a Mistake. It’s Time to Move On. Some cities are exploring the benefits of making certain areas car-free. With exceptions for moving freight, this article explores the option of using streets as social spaces and providing good public transit. With the US elections coming up, the APTA encourages voters to make their wishes known about public transit to their representatives by writing letters to the editor, using social media and contacting politicians directly. City Councillors in Toronto are trying to decide which transit projects to fund. Students from MUN are just one of many teams who are working on developing the hyperloop. Design teams are getting ready for the hyperloop race by testing parameters and designs virtually. While the hyperloop is undeniably a really awesome concept, some people think that it might be better for transporting freight. What do you think? This project will make multi-modal transportation information available so app developers can make better transit apps. What do you think about any of the articles or topics? We’d love to hear from you! Mothering Sunday is March 6th in the UK, and it can be a busy day for transit companies. As riders rush to and from church, and too and from visiting Mum, they may be irritable about family rows or the lack of space on the bus. Here are some ideas for keeping the day running smoothly. 1. Remind your drivers in advance that Mothering Sunday might be an extra busy day. Remind them of the importance of being polite to riders, even and maybe especially to those who are rude. Sometimes all it takes is a smile to turn someone’s day around, and bus drivers are generally so good at this. Also, have your drivers keep an eye on bus capacity, and cap it if necessary. An overcrowded bus is unsafe and miserable for everyone on board. 2. Will your route or schedule be changing on Mothering Sunday? How will your riders know? Unexpected changes can make even the most passive of us pretty irritated. Your riders expect that information to be online and easily accessible through their smart phones. People are much more likely to take the bus if the process is simple. They want to be able to book their tickets online, and make a clear plan of exactly how they’ll get to their destination and any stops along the way. If things do change, they want to be notified in real time. We can provide all of this travel planning convenience for your customers. It’s easy and affordable to get your schedules online and provide riders with real time status updates in the case of delays. Contact us and find out how! 3. Are any of your drivers or other employees mothers? Take a moment to appreciate all they do! They might not get to see their families on Mothering Sunday if they are working, so bring a cake into the office, pass out some flowers, or give them each a card. You might also find some ideas in our Employee Appreciation Day post. We’d love to hear from you! What are you doing to make Mothering Sunday special? 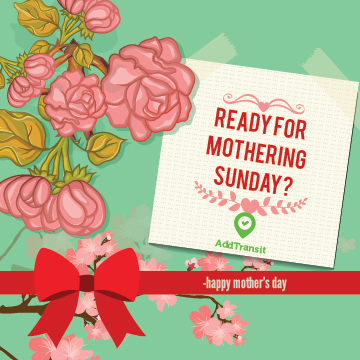 Happy Mothering Sunday from AddTransit! Your transit company employees work hard every day to bring great customer service to your riders. Your drivers keep your riders safe and happy. Your janitors and maintenance workers don’t get any credit in the public eye for their unseen work making the company run smoothly. Your office workers keep systems in place that make the whole company function. 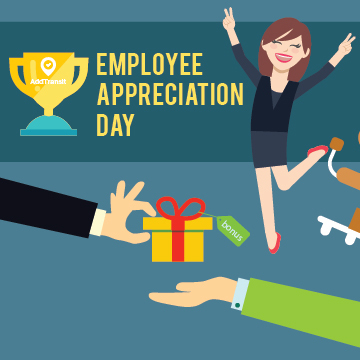 Employee Appreciation Day is March 4, so we have rounded up some ideas to recognize the amazing work your employees do. From simple handwritten thank you notes to singing your employees praises on social media, sometimes just saying “thank you” is enough. This list also has ideas for prizes, hack days, and surprise treats. Here’s a list of 10 themes, like Office Olympics, Rock on! (, and Smells Like Team Spirit, to create a fun office party. Don’t let your employees feel like Employee Appreciation Day is an obligatory yearly hassle for you. Let your employees know you appreciate them all year long. 1. Have an office party for each employee’s birthday or, in a larger company, a party once a month celebrating all of the birthdays that month. 2. Put up a poster that shows exactly how employee contributions are making the company better. It can be a chart showing each person’s place in the system and regular updates on company profits, days without an accident, decreasing customer service complaints and increasing compliments. Add the thank you notes from the charity to which your company donated and pictures of the summer employee BBQ. Make it a one stop shop for everyone to see that their contributions matter in the larger picture. 3. Keep a jar in a central location where employees can drop each other thank you notes. Read these notes out loud in meetings or post them (with permission) on social media along with a picture of the employees. We’d love to hear what you are doing this year to say “thank you” to your employees! Find us on Facebook, Twitter, and Google+ and share your stories and pictures. 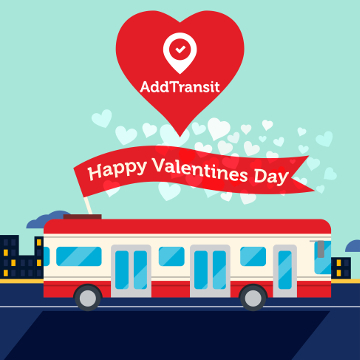 Valentine’s Day is a great day to express your love for your loved ones, and we think the best expressions are often on transit! Here are some sweet past expressions of love that took place on buses and trains that will inspire you this year. This couple met when Elsa saw John’s smiling face on a United Gospel Mission poster at the bus stop and it prompted her to volunteer. While she was volunteering, she got to meet John in person, and that was the beginning of their romance. It just goes to show that you never know who you might meet at the bus stop…. even if it’s just their picture. Last year, Steve and Roberta shared that they were celebrating their 20th anniversary after meeting on the bus and spending much time together during subsequent rides. Read more stories about love on the bus! Watch this sweet video of Adam proposing to Lucy on the train, after hiring the Adam Street Singers to sing Lovely Day to her. Do you have a story of romance on transit to share? We’d love to hear it! You can post it in the comments on Twitter, Facebook or Google+ or email us at emstrength@addtransit.com and we’ll blog your story. Every day we find transit news that is relevant and useful to you. If you missed these posts on Facebook, Twitter, Google+, Pinterest and Linkedin, you can find them all here in one place each week. Gas prices in the US have been steadily declining, but that’s not stopping cities from embracing public transit projects. Voters approved 71% of transit related ballot initiatives in 2015. This new research model takes into account many more of the factors that determine whether or not a person decides to take public transit, including cost, total time of travel, number of transfers, different transit schedules on different days, if a household has a car and if that car is being used by another household member, and so on. Our main focus last week was rounding up transit related conferences that will be held throughout 2016. 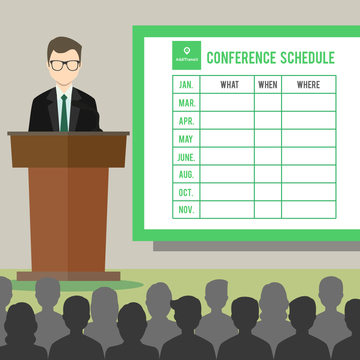 Our roundup of bus and charter bus conferences includes conferences in the United States, Australia, Poland, and the United Kingdom ranging from local bus association marketplaces to international expos. Our roundup of public transit conferences includes 11 conferences hosted by the American Public Transportation Association held in locations across the US, as well as conferences from the European Automobile Manufacturer’s Association and IT Tech. Topics include the legal aspects of running public transit, marketing, risk management, sustainability and more. Let us know what you think, and share some news with us too! You know others are doing it. But yes…. you’ve been putting it off. So what to do??? Let’s review each of these fears and see if we can turn these fears into an opportunity. Your customers and passengers are now expecting real time status updates. They are tracking their parcels in real time across the globe. They know if their Amazon book has left the warehouse, if their E-bay dress is in transit or if their pizza is just about to be delivered. Their use of paper based maps for driving is now a increasingly historical novelty and GPS enabled smartphones is commonplace. A decade ago it was normal not to know when things would arrive. But now, not providing that information is seen as poor customer service. Your team are already providing realtime status updates. They do it by phone in the call center, at customer service centers, at stops/stations/ports and on vehicle. However, this is a drain on your resources. Imagine if customers/passengers could self-serve and obtain this information themselves. This would free up your team. They could focus on sales, upsell, and safety and instead of many team members providing best-effort updates, real time status updates allow you to ensure the right person provides the right information in the most efficient and cost effective way. In the past realtime status systems and software meant a massive cost investment. Electronic signage was installed at key stops. Televisions and automated voice announcements were programmed. Networking all these together was horrendously complicated. And then if you wanted on vehicle realtime status systems you had to install triggers to let the vehicles know which stops had been passed and communications throughout the vehicles so all passengers could view the updates. Luckily this huge cost outlay is no longer required. 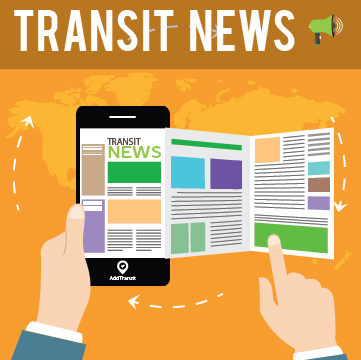 With commuters now carrying smartphones, AddTransit can help you publish realtime status updates online. This is a great opportunity as commuters care more about their journey, than the vehicles journey. Online realtime status updates are like Pizza delivery tracking. You want to know how long it is until the pizza arrives at your house. You don’t want to know all houses that the driver will delivering pizza to. Online realtime status updates allow passengers to focus on just the information that is important to them, without being bombarded by updates that are irrelevant to their journey. 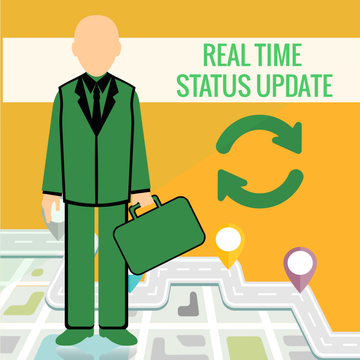 Real time status updates gives you the opportunity to provide passengers a personalized customer experience. The other fear is the reputation. The concern is that if your vehicles are late, you’ll be publishing this information for all to see. This actually is a false fear. Knowing that the vehicle is late allows passenger confidence in the system to rise, as now you have provided them with additional information giving them the opportunity to adjust their schedules. Of course you’ll be looking for ways to improve on the service and minimise future delays, but in the meantime the real time status maps and apps will take the brunt of passengers displeasure with late services, and provide passengers reassurance for all the services that run perfectly. So the fears are false. The opportunity is there. The question now is poor customer service acceptable? Or is it time to start real time status updates? Or Join today and we’ll get you started. 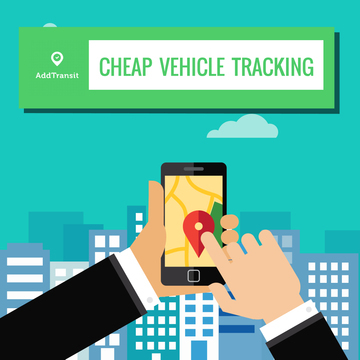 If you are looking for cheap vehicle tracking software, AddTransit is the right place. Our smartphones apps allow you to track your vehicles and see their current position on a map. It is very simple, you just signup to AddTransit and then add each vehicle’s details. You also add the users that will be allowed log into the system. Then each of your users download the AddTransit app onto their GPS enabled smartphone. Before they start to drive, they log into the app and select their current vehicle and their route or service. They press START and off they go. The app keeps sending their location until they tell the app to stop. Your smartphone is acting as a Vehicle Positioning System, but without the huge cost that is normally associated with such systems. Wow! The vehicle location can then easily be seen in head office. If you enable GTFS Real-time (a standard that is for reporting realtime locations of vehicles), you can also make your vehicle locations available for your customers to see on internet mapping software such as Google, Bing or Yahoo Maps and journey planning apps. No longer do you need to contact staff to find out where they are up to. Your staff can concentrate on the safe travel of their passengers and giving these people a great customer experience. Your passengers are even more excited as now they can know when their vehicle is approaching or is delayed and can plan accordingly. 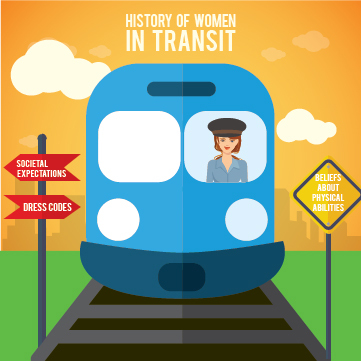 We’ve rounded up Public Transit conferences for all of 2016! Make sure to register early, so you don’t miss out on all of the great information and networking opportunities. Visit the European Automobile Manufacturer’s Association for more information. Visit the IT TRANS website for more information. Visit the American Public Transportation Association for more information. Visit the American Public Transporation Association website for more information. Visit the Transports Publics Website for more information.